The 5* Regnum Aparthotel & SPA is set at the foot of the magnificent Pirin Mountain in the resort of Bansko. It offers stunning views and has comfortably furnished apartments along with excellent facilities, including a SPA centre and a restaurant. WINTER 2018/2019 (19th December 2018 - 7th April 2019) PRE-BOOK AND SAVE: If both parents pre-book "Full Ski/Snowboard" pack or "First Time Ski/Snowboard" pack, one child aged 4-7 years may attend the Junior Ski Club for free and one child aged 7-11 years gets free ski tuition.20% reduction on all ski/snowboard services and packs (excluding equipment carriage) for senior citizens aged 65 years and over. BOOK EARLY & SAVE: Pre-book an adult lift pass and get a second one (adult or child) half price. Offer is valid for bookings made from 5th December 2017 until 30th April 2018 inclusive.The above offers can not be used in conjunction with each other or with any other offer and are applicable for 7 nights duration only. Availability is limited and can be withdrawn at any time. Free shuttle bus to the gondola lift, free use of Spa centre with indoor swimming pool, Finnish sauna, steam bath, hammam, shock & tropical showers, relax area, jacuzzi & fitness, children's play area & animation (4-14 years), Wi-Fi & outdoor parking, all other facilities & services may be subject to a local charge. We update Regnum Bansko Aparthotel & Spa's details often, but facilities do change. e.g. some extras listed by the supplier as "free" or included might only be for the first time you use them, or for one time per party, then charged for further use. If any specific feature is essential to your holiday, make sure you ask us to confirm the details of it before you book your holiday. 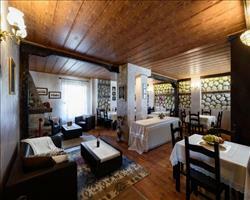 This package holiday to Regnum Bansko Aparthotel & Spa in Bansko, Bulgaria departs Saturday 14th March 2020, for a 7 night stay on a "bed & breakfast" board basis. A local tourist tax (Taxe de Sejour or Kurtaxe) is levied by many councils in European ski resorts. It varies by standard and type of accommodation and is age dependent, so not everyone is charged. It's not included in the basic price of your holiday and is usually paid locally. For reference, the average charged in winter 15/16 was between 50p and £2 per person, per night. Experience the exhilarating skiing and vibrant après ski that is making Bansko one of the fastest up and coming ski resorts in Europe. Sample some of the best of Bulgarian food and soak up the traditional architecture, before making the most of the efficient ski system and admiring the breathtaking views. Bansko lift pass price last reported as £109 (adult 6 day). Ask for a quote when booking Regnum Bansko Aparthotel & Spa. Bansko has N facing slopes. Usually open for skiing December – May. Aparthotel Winslo... Bansko Bulgaria, Gatwick to Sofia 14th March. 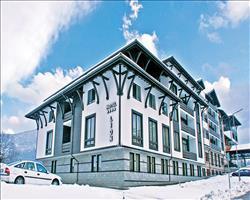 Aparthotel St Geo... Bansko Bulgaria, Gatwick to Sofia 14th March. 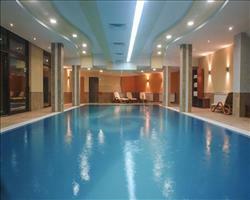 Hotel Mura Bansko Bulgaria, Gatwick to Sofia 14th March. 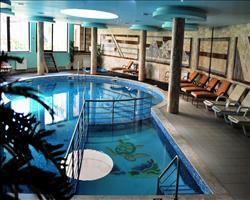 Hotel Campanella Bansko Bulgaria, Gatwick to Sofia 14th March. 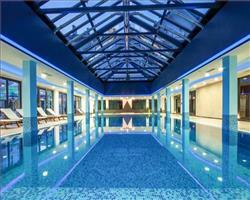 Hotel Perun Lodge Bansko Bulgaria, Gatwick to Sofia 14th March. 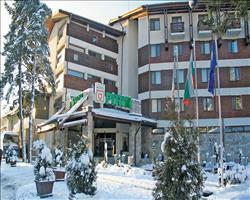 Hotel Lion Bansko Bulgaria, Gatwick to Sofia 14th March. 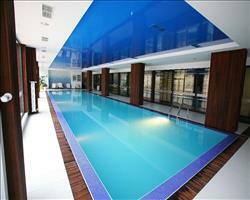 Hotel Zara Bansko Bulgaria, Gatwick to Sofia 14th March. 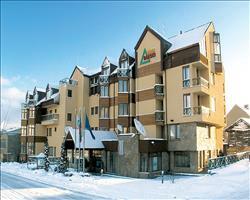 Hotel Pirin Bansko Bulgaria, Gatwick to Sofia 14th March. 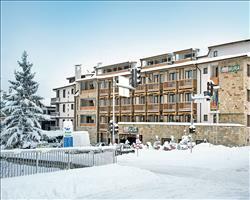 Hotel Bansko Bansko Bulgaria, Gatwick to Sofia 14th March. MPM Hotel Guinnes... Bansko Bulgaria, Gatwick to Sofia 14th March.